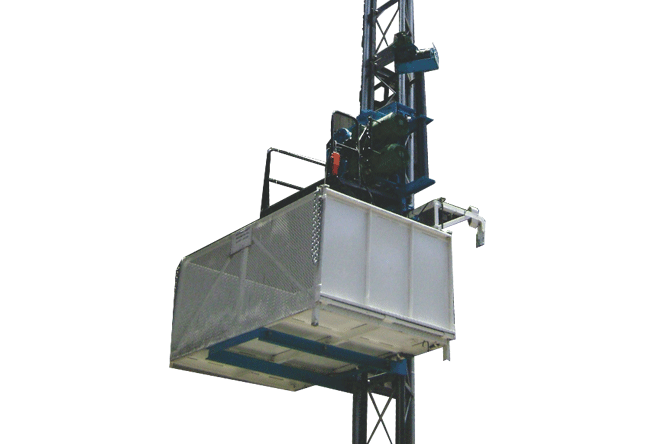 The See-Saw hoist is similar in construction to the tower hoist, but offers double the performance. 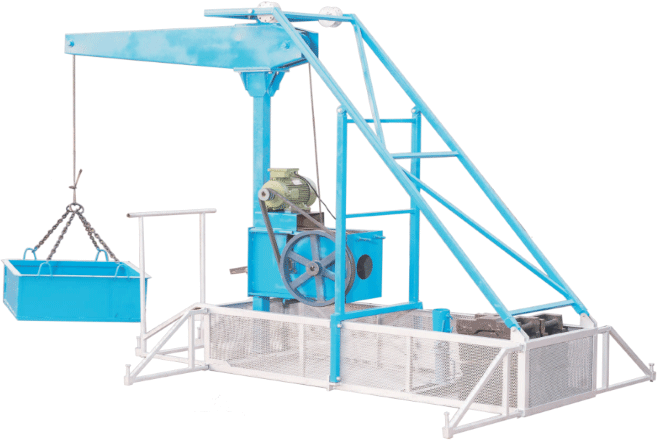 Two buckets are attached to the hoist, which alternately move up and down, saving a lot of the working hours. They need less power to operate and employ a 10 H.P. electric motor for their operation. 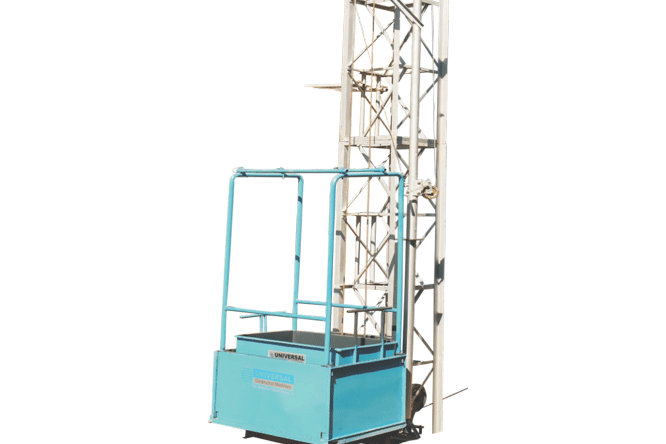 Various attachments are made available by Universal to this hoist, helping consumers to customize it according to their requirements. Specifications for this hoist are as mentioned below. Power – 10 H.P. 3-Phase Electrical Motor. Electrical Supply – 3-Phase, 410 V, 50 Hz. Gross Load Capacity – 750 Kgs. for each bucket. Wire Rope – 10 mm Steel Core. Wheels – Heavy Duty Wheels of Winch. Max. 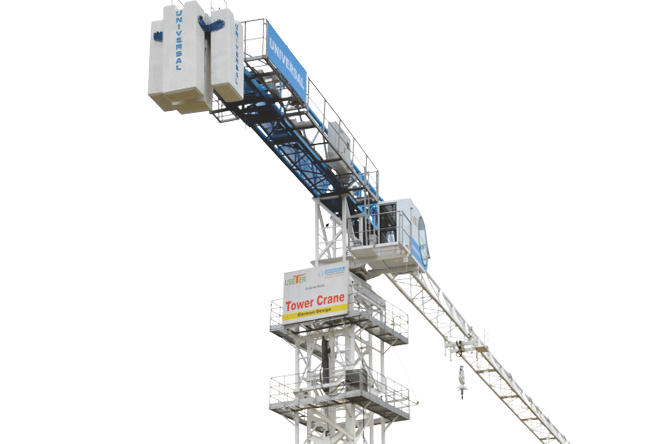 Travel Height – 350 Ft. Column Size – ISA 65 X 65 X 6 mm. Column Dimensions (L X W X H)- 700 X 700 X 2700 mm. 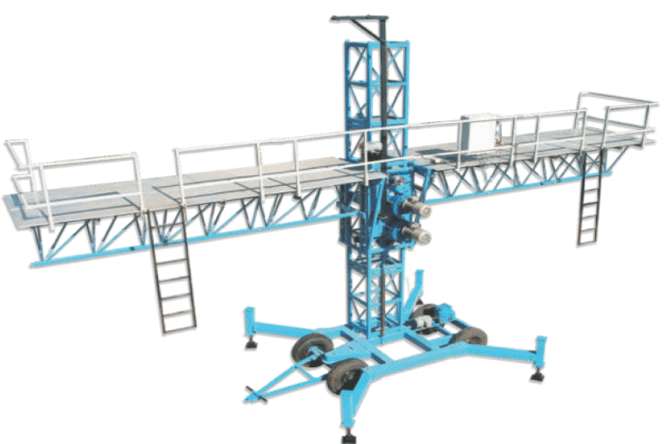 Material Handling Platform – Size 1370 X 870 X 600 mm, 500 Kgs. Capacity. 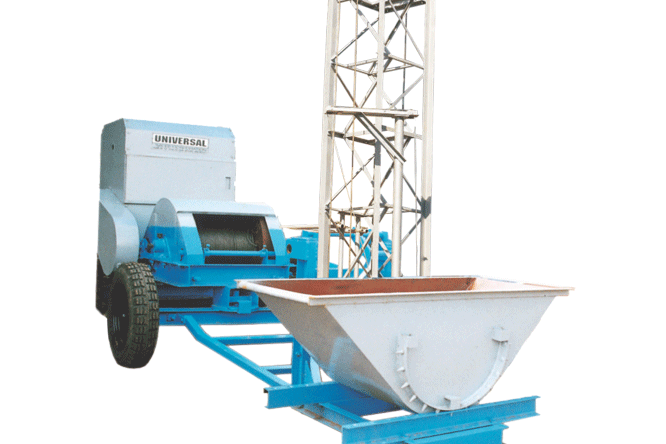 Concrete Carrying Bucket – Size 1556 X 710 X 940 mm, 500 Kgs. Capacity. 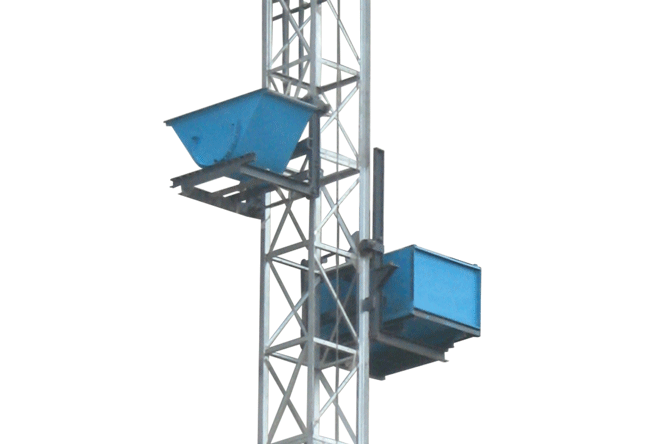 Steel Carrying Cage – Size 500 X 300 X 3650 mm, 500 Kgs. Capacity.